The President’s Office is in charge of the over-all administrative and academic concerns of the school. The President is the chief operating officer of the De La Salle Santiago Zobel School. He is responsible for the overall, effective and efficient management and delivery of the school’s academic and administrative services and achievement of its strategic goals. He also serves as a Lasallian Animator in charge of inspiring the academic community with the Lasallian Spirituality. Under the President’s direct supervision are several units to ensure active support for co-curricular programs in sports, business processes and procurement, fundraising, communications, promotion of positive school image and brand, aesthetics, campus development and services, and the monitoring of quality academic and business practices to ensure that the school achieves its strategic goals. The Advancement and Communications Office (AdComm) both the communications center, fund-raising arm and external linkage of the school. The AdComm promotes a highly effective communication network amongst the different stakeholders of the school and its key partners in education–the parents, the alumni, partner communities, and organizations, government units, private companies and the general public; spearheads institutional fundraising projects; advances the school’s positive image. It also manages all records pertinent to Scholarship Grants. a. Cafeteria – supervises the concessionaire and the Cafeteria Committee toseek ways to improve the cafeteria facilities, food supply, handling, menu plan, preparation, sanitation, services and its personnel. b. Campus Grounds Maintenance – supervises the janitorial, landscaping and upkeep and maintenance of school grounds, swimming and the perimeter areas of the campus. It also takes the lead in the implementation of the school’s Ecological Solid Waste Management Program and the supervision of the Material Recovery Facility. c. Logistics and Communication – implements the established guidelines and procedures in regulating and monitoring the issuance of various IDs, stickers and pass for student’s, contractual personnel, fetchers and vehicles. in-charge of documenting lost and found items and in safekeeping these surrendered items in coordination with the Inventory Unit. Correspondences from outside institutions or other parties are also handled and distributed by this unit. d. Medical and Dental – provides first-aid, regular annual and physical & dental examination, drug-testing and other wellness programs in collaboration with the contracted medical team, Lifeline Ambulance Rescue Ins, Red Cross, FLWI and other local health offices. e. Transportation – formulates applicable transportation safety and security policies, provides fleet services and implements effective maintenance schedule of school vehicles to ensure that these are in good working condition .The unit also prepares guidelines for the endorsement of school bus operators, known as the Recognized Transport Service Providers (RTSP), to check if these are LTFRB certified and have passed the vehicular inspection standard set by the school. The Purchasing Office is in charge of the central procurement of materials, equipment, machines and other tools directly and indirectly needed in the teaching and learning process. It supervises the online Employee Request System for an efficient procurement process. It purchase goods and services that meets the quality requirements and standards of the school but with consideration of the lowest cost. It also monitors and maintains the availability of the supply of regular items needed in the school. The Sports Development Office (SDO) provides assistance to all student-athletes in academics, formation, training and development. It aims to maintain and improve the performance of student-athletes to maximize their potential in becoming better Lasallians for the community and the country. It supervises the performance of approximately 1000 athletes for the major tournaments such as UAAP, WNCAA, PAYA, ISSA. It handles the recruitment and monitoring not just of the athletic scholars, but all student-athletes. It has the PE Exemption program as an incentive for well-performing athletes and the Extended Remedial Program (ERIP) for athletes with academic deficiencies. It also handles linkage for athletic visiting programs, exhibitions and competitions in other countries to expose the student athletes to international sport events. The Compliance and Risk Management Office ensures adherence of the school with all applicable laws and regulations, internal rules, policies and procedures with the goal to advance DLSZ’s mission and strategic plans by proactively partnering with various stakeholders in promoting stewardship, accountability, integrity, efficiency and compliance. It requires administrative and operating units to have written internal policies, procedures and guidelines in place for monitoring of compliance with law, regulation, or other binding rule or agreement for all agreements entered into by DLSZ. It monitors, make commendations for compliance and recommend corrective courses of action in case of non-compliance such as training programs. The Compliance and Risk Management Office has full access to properties, records, data and other necessary information. The Compliance and Risk Management Officer reports directly to the school president and may be required to report to the Board of Trustees on a periodic basis. The Compliance and Risk Management Office’s function is separate and distinct from Internal Audit Office’s but may coordinate with Internal Audit regarding compliance issues. The INTERNAL AUDIT OFFICE assists the institution to accomplish its objectives by strengthening and enhancing the efficiency of its control environment and governance process. The Instructional and Performance Assessment Office handles and conducts psychological testing, evaluation and research. It aims to provide accurate data on student and employee performance to help refine instructional practices, measure student progress, and improve school programs and services. faculty and provides feedback on their strengths and weaknesses.It collaborates with the administrators and faculty on research projects or studies endorsed by the Research Office and the school president. The Strategic Planning Office is responsible for ensuring that DLSZ follows through with the implementation of its vision, mission and strategy in line with its goals and objectives. It leads institution-wide strategic planning, budget and target-setting processes, including key performance monitoring. Further, it assists in the development of the Annual Plan, and 3-year (rolling) Strategic Plan emphasizing the role of effective strategic monitoring, evaluation and sufficient planning & development activities in the achievement of the plan. The Research Office prepares and present plans and reports for the research agenda or themes in collaboration with the heads of the different departments. It conducts lectures/workshops to initiate and perpetuate the culture of inquiry and research among the members of the academic community. It assists teachers from the initial conception to the final results of their classroom-based researches/action researches and maintains an inventory of all researches conducted in each department. It provides technical and logistic support in accordance with the guidelines for assistance. It recommends meritorious researches to the Faculty Performance Incentive Board for awards. It spearheads in the preparation of the school’s research publication. It establishes linkages with other research offices (national and international ) for possible collaborative efforts in addressing common problems. The Project Management Office prepares and coordinates special projects under the President’s Office. 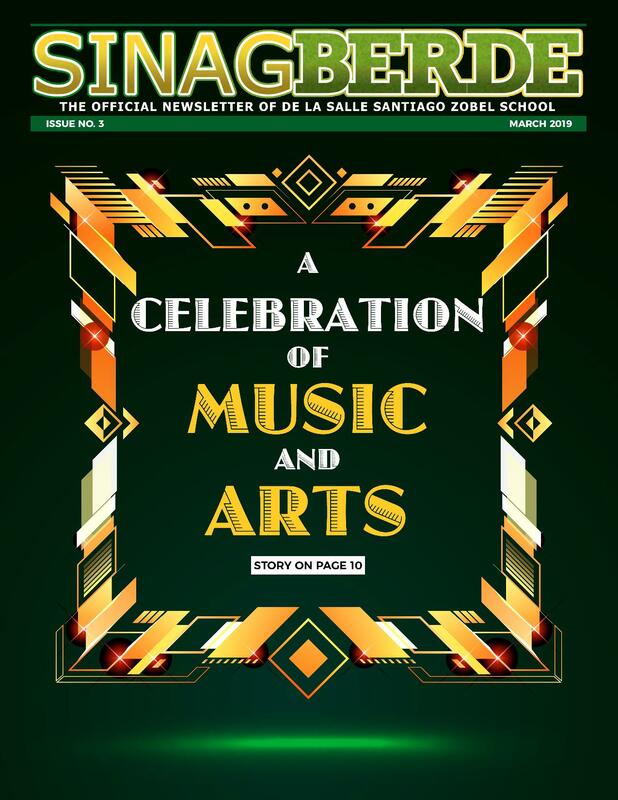 It also handles the internal and external communications of the school president with other educational networks such as De La Salle Philippines and Muntiparlas Consortium and external stakeholders for school concerns and special events and activities. It prepares the quarterly and annual reports of the school president to the Board of Trustees and assists in organising of meetings, follow-up and preparation of progress reports for the President’s Council, Operations Council and the Finance Executive Committee and planning workshops for school administrators. The Growth in Organizational Leadership and Development Program is an ongoing succession program spearheaded by the President’s Office that trains potential and new administrators through a series of sessions and workshops on topics ranging from management, leadership and Lasallian spirituality.